No 5 & 6 Galway Retail Park. 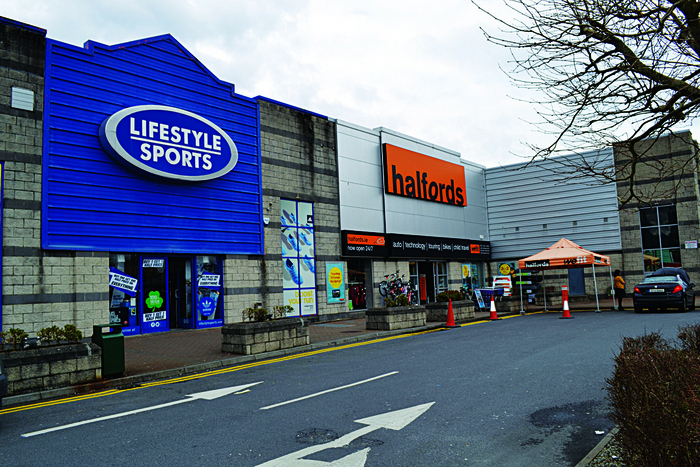 trading as Lifestyle Sports and Halfords respectively, and are being sold as investment opportunities (tenants not affected ). Lot 1 - Unit 5A which trades as Lifestyle Sports and is let on a 25 year lease from May 2002 at a current abated rent of ¤185,000 per annum. Lot2–Unit6tradesas Halfords and is let on a 20 year lease from November 2010 at a current rent of ¤200,000 per annum; the lease incorporates a tenant break option in year 10. Quoting prices are €1,900,000 for Lot 1 and €1,900,000 for Lot 2. DTZ Sherry FitzGerald are seeking best and final offers on the properties by 12 noon on Thursday May 1. For further information contact sole selling agent DTZ Sherry FitzGerald at 091 569181.